Gulf Keystone Petroleum (LON:GKP) has had a very bad run recently, hardly surprising as they operate very close to the Syria/Turkey war zone. 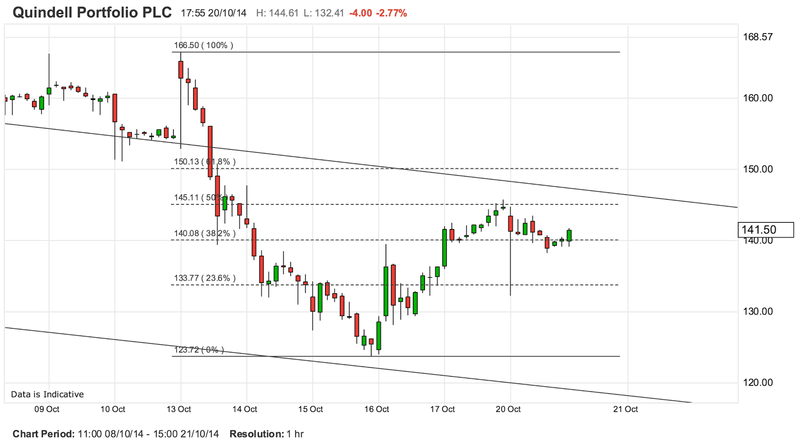 When the share hit the low sixties in October, many people, including myself though it had hit support and bought. 1. The 14 day RSI is now just over 70, so the instrument is overbought. The last time this condition obtained was the end of June 14, and you can see what happened there. 2. The August 28th gap was not quite filled on September 1st. This may seem like nit-picking for a few pence, but algorithmic trading is just that. The gap was filled today, and gap fills are normally followed a small reversal. 3. There is a lot of resistance coming up. You will notice the share today did not hit the 89.5p spike from August 22nd. If you look at the share price throughout the first half of 2010 in the first chart above, you can see it spent months in the range we are now. 4. This is really the fractal version of the first point (overbought). Note the two red boxes where the charts look similar. This means not only have we risen sharply, the pattern of how sharply we have risen is similar. In this case it is a tangent rather than a parabola. It is more likely than not that what happened after the box last time will happen again. 4a. A further point here is that the last fractal was immediately followed by a gap down. In this fractal we have a classic exhaustion gap up, and as you know, these gaps are the most likely to get filled. The price has to go back to 73p to fill it, which is not a big move given recent price/action. 5. Just above 90p is the 200 day simple moving average. This indicator is a well-known and understood area of resistance and it is likely that by the time we get to 90p, so will it. 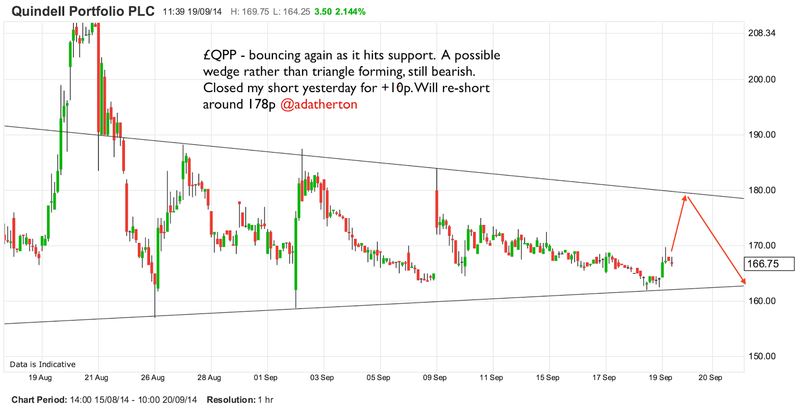 So in the short term, I have closed (at 80p) three-quarters of my long from 60p, set the stop loss on the rest to 70p. All nice round numbers. Given the RSI, I expect the price to fall back to 73p, and then rise slowly to avoid being overbought. This also fits nicely with the monthly chart which has a high degree of symmetry about it, the mirror line being the all-time high. Following this theory suggests a very slow climb back to 90p, taking six months or more, followed by a quicker climb of three months to 130p. That will take us to about August 2015. (Unfortunately, the next part of the symmetry suggest another crash). 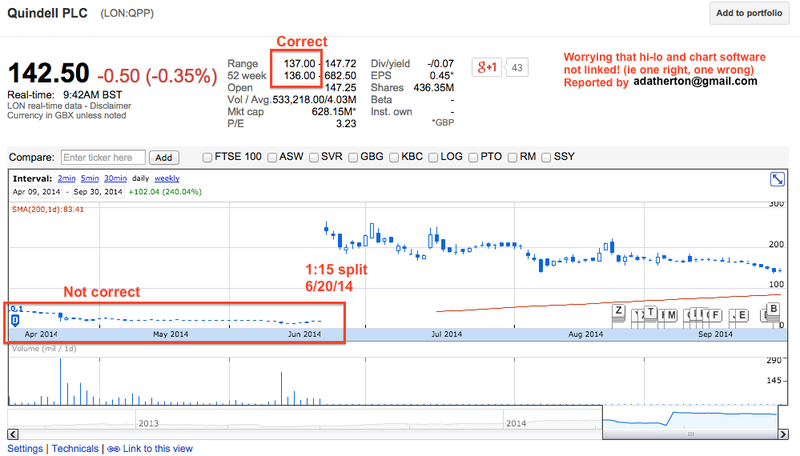 I am a position trader in £GKP, not a fundamental investor. This means I take a long-term view, but I do so based on technical signals, not company news. I work on the basis that news drives price direction, but technicals drive price range. Keep looking at the symmetry of that chart. Surely news is not a mirror image. 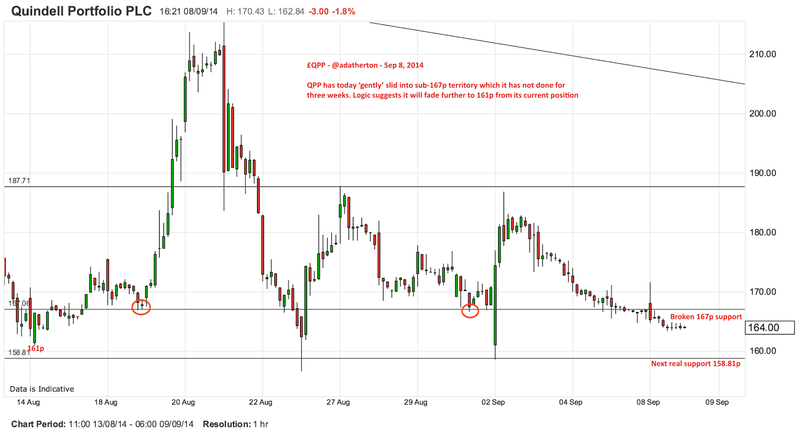 My targets, first down to 73p where I will buy, then back up to 90p. Will sell rallies and buy dips to 130p, where I will finally exit. Note that I am not planning to short the gapfill! 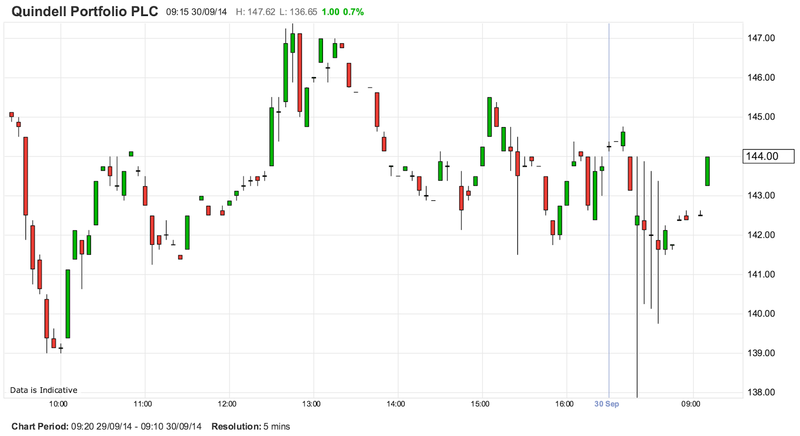 Why did Quindell drop 20% this morning? 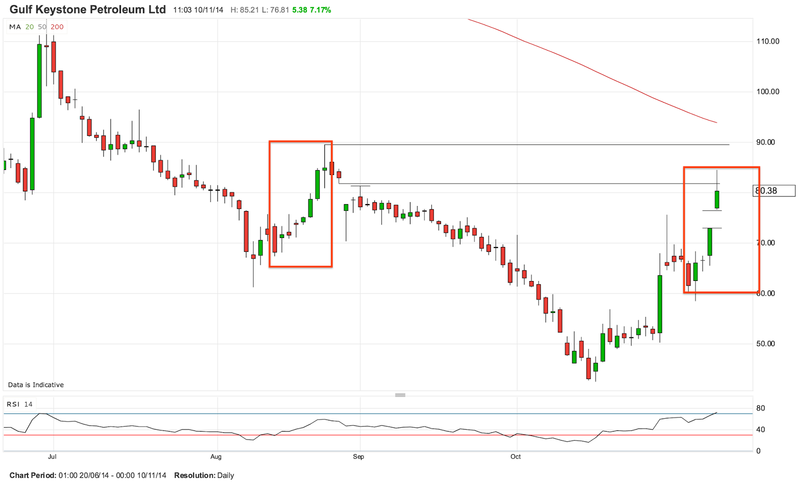 Unusually even though Quindell (QPP:LON) was at a low point on Friday, I took out another short position, and tweeted it, and some people may think why, as the instrument was already at it's lowest price for six months. As I did it at 16:29, I didn't have time to post details. I have been following the instrument, as you know, for months, and I noticed the price had broken the previous tramline low, and thus was certain to touch the next one, approximately 105p. I also took a calculated risk that the opening volatility, which always seems to happen with this share would pull it, like a magnet to the psychological £1 round point. If it did go to £1 (I reasoned), it would go even lower by momentum, and this is what happened, falling as low as 88.75p at 08:25. I moved my short stop loss to 100p (which as I am writing this has just sold, so I booked 18.5p profit. So what will happen now. With this drop, the share has once again entered oversold territory, and so a bounce is inevitable, and indeed it may re-enter the tramlines. (As I write, the price is back to 110p, so indeed it has). The price should then recover to the top tramline (between 140p and 150p) before heading down again. Alternatively, the tramline support of 105p may now become resistance, in which case 88.75p could be revisited sooner rather than later. In any event, the bigger picture is still a downward trend, and perma-bulls and other people emotional about this should note the smooth technical playbook being followed, on relatively even volume. It now seems extremely likely that the price will move all the way back to the all-time low on May 9, 2013 of 80.65p (adjusted for splits). I will therefore continue to sell rallies. All this assumes no material news, good or bad, about the company. 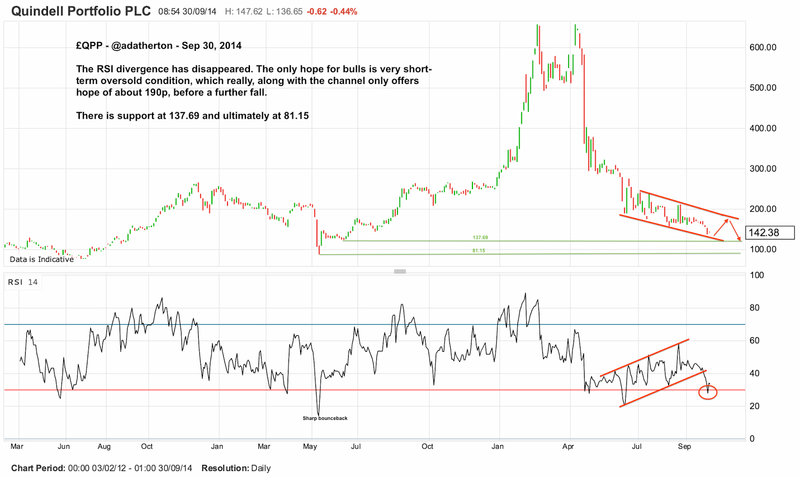 A week ago, I said that Quindell (QPP:LON, or £QPP) was entering an oversold condition below 125p and would bounce. What I omitted to say is how far, which I should have done, as most technical analysts would say that for a downward sliding stock is that when it bounces an oversold condition, it will recover half-way to the last high, and this is exactly what has happened. From the 13th October high of 166.50p, down to the last low of 123.72p gives a recovery point of 145.11p, which is where it reached on Friday night. I was waiting for this and placed another short, my previous one having been sold at 125p as per my last blog post. Note I could have gone long on the bounce, but I didn't dare, given the second GCR tweet and lent-out percentage of 97.58%. There is another GCR tweet today, by the way. In summary the trend is still down, and I will continue to short rallies. I have so far, using spreadbetting, made my stake several times over. I believe this stock is following technicals exactly because there is no news either way on the GCR/Shareprophets allegations. I have noticed, incidentally that in the last eight weeks, the downward channel range has tightened. See the chart below. The range is now within the blue tramlines rather than the black ones. Unfortunately for bulls, this doesn't help, as although the tramlines are narrower, they are at the same gradient as the old ones. As an aside, I am amazed by the amount of emotion generated against people who are bearish on this instrument. It's just a share, like any other, where you follow price/action. I cannot understand why people who are holding long-term write to bulletin boards every day. I am a long-term holder of Minco (LON:MIO) and Fastnet (LON:FAST) and am well underwater, but I know they will come right in the end. I certainly don't care about people shorting them. Also it is extremely unlikely that retail shorting has any effect on any share except micro-caps (with >10% spread!). If only it did - you'd never lose! Quindell (QPP:LON) put out a 'good' trading update yesterday and the shares fell 7%. They fell another 7% today. My new short is doing well. They closed tonight at 134p. 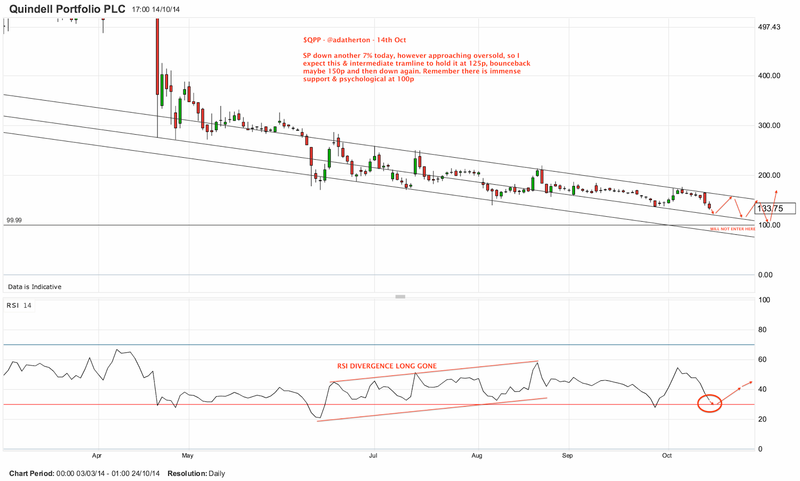 It is possible they could drop to 125p in line with the tramline movement, but if they get there quickly, an RSI oversold condition will obtain. This may well cause a bounce back to 150p. In the meantime, I understand that GCR have been tweeting negative remarks again about Quindell. Perhaps this has caused the price drop. I do wonder whether long-term institutional investors are eschewing this instrument (other than to sell it), which means that the whole market is driven by (retail?) traders. Certainly the volume has dropped right off. So to summarise, I am holding short again, from that bounce to 165p the other day. I do recommend you set fairly wide stops if short, as the share seems to bounce first thing every morning, before fading all day. 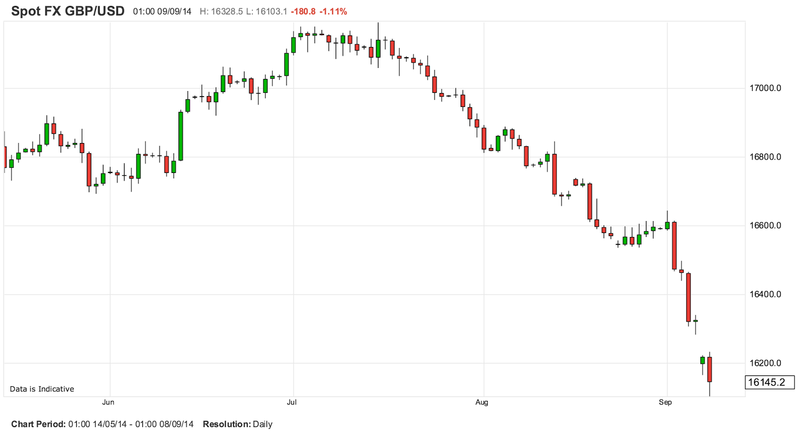 Quindell (£QPP) continues to fall. It is not crashing and burning, and the controversial Shareprophets theory appears to be stalled. I posted a few weeks ago that bulls could take comfort from a clear RSI divergence pattern, but unfortunately, in the last few days, this has disappeared. The only hopeful signal for a bull is that this morning, the instrument briefly entered oversold territory. This also co-incided with the bottom of the downward channel, but more importantly, with the last but one line of support from June 2013 of 137.69p. You can see that this was the last of a series of gentle reversals, and I do expect this one to be breached. Indeed at 8.20am BST today, the share briefly touched 137.87p but quickly bounced back. This was the quick entry into oversold territory, plus support, and the bounceback was definitive as you can see from the 5m chart. 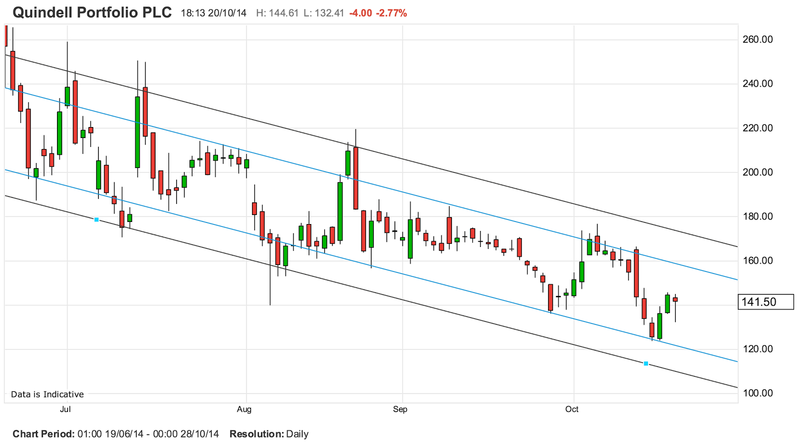 You can see from the first chart that recovery in the downward channel suggests the share may now climb back to as high as 190p, before a further fall to 137.69p or lower. If it does go lower, there is clearly much more resistance, and the ultra-low of 81.15p was only for one day (10 May 2013), so my view is that it's not really going to go sub-100p. Still pessimistic from it's current price, but there you go. 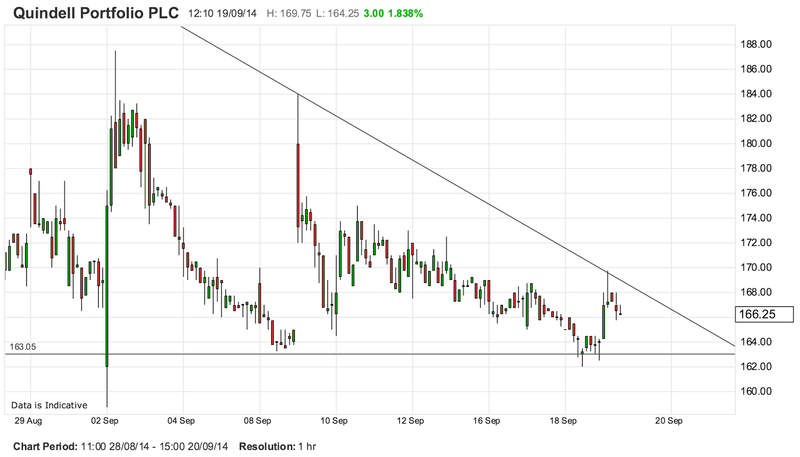 Going long to get that 45p to 190p should be regarded strictly as a day or swing trade, not a position. I would do a spread-bet and set a limit sell of 185p. Note that a bounce back to 190p will not restore the negative divergence, and there is no technical reason at all for the share to go higher than that. Only something fundamental could do that. In the long-term, I will repeat what I said before. These Shareprophets and Gotham City Research allegations need to be proved or disproved. If disproved, happy days, it's a £6 stock again, but at the moment the slow slide (reminiscent of £GKP's chart) suggests that institutional buyers have lost interest. Don't forget £QPP is still the most shorted stock in the UK, as can be seen here on the very useful Datalend website. Check the recent price/action on the other highly shorted stocks on the list. 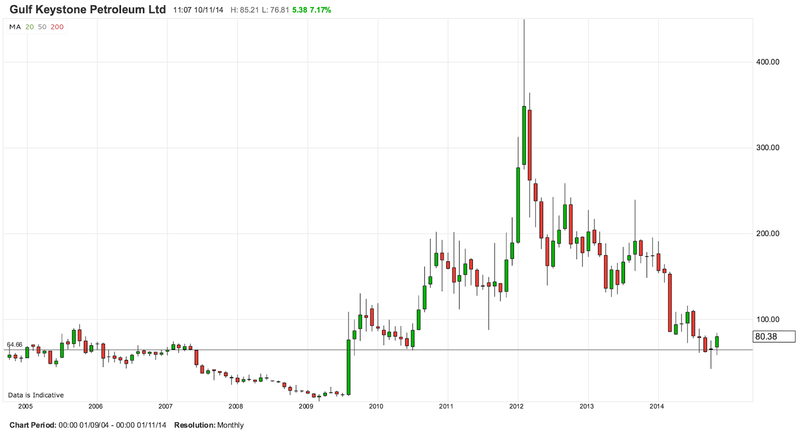 One thing is for sure, £QPP may still be a 'hold' but it definitely isn't a 'buy' at current prices. Anything is a hold if your timeframe is long enough. One last thing, as I am sure you know, Quindell did a 1:15 reverse share split on 19th June (RNS here) and IG Markets correctly adjusted their chart to reflect this. However, Spreadex did not, and I have written to them today about this. They did adjust their chart for £RBS who did a 1:10 split in 2012, so I assume this was an oversight. But whilst on this topic, the mighty Google Finance have also not entered the split in their chart. I have written to them as well. For those of you not familiar, when Quindell was split 1:15 on June 20th, every 15 of your Quindell shares were converted into one new share. Obviously the value of these shares therefore went up by a factor of 15. QPP shares closed at 16.65p on June 19th, at 242.68p on the next day. It is normal for charting services to show the prices prior to the split on the new basis, otherwise you would have a massive gap, which Spreadex and Google Finance do have! 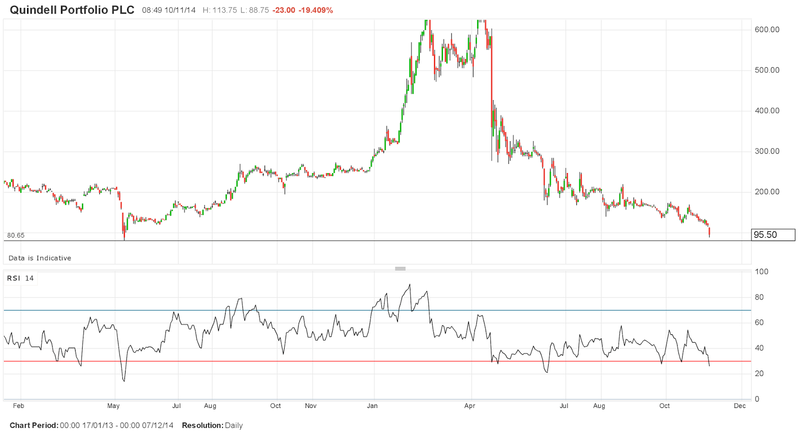 CFD broker Plus 500 (£PLUS) shares, which I wrote about in August, have plummeted over 12% this morning, ostensibly on a report that they are not vetting clients on signup, only on withdrawal, which is in breach of FCA anti-money laundering regulations. The report in in The Times. You can click here, but you might be frustrated by the paywall. 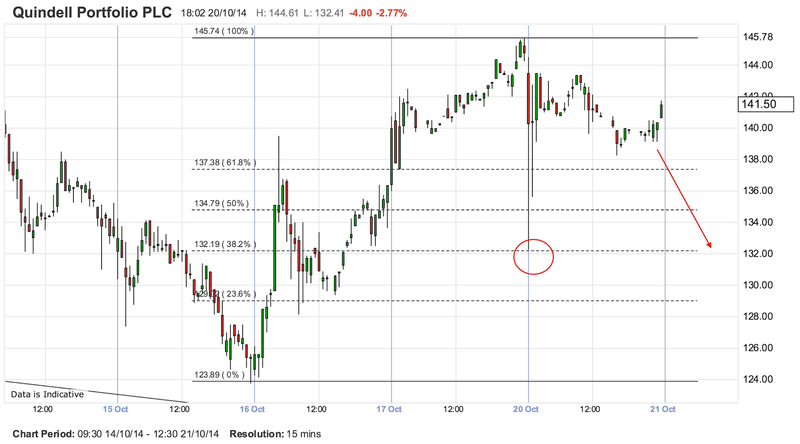 Anyway, the shares hit strong technical support at around 360p and then bounced back from there. I have been short since 480p (see the earlier article), and still believe that the share could go a lot lower. However, I noticed that volume in this huge drop was completely unlike the 24th June drop, and even less than the 14th July drop. Although the full day's volume is not in, the volume which caused the drop is in, and it is, at the time of writing is only 170k shares, compared to 1.3M on 24th June. Also I notice that the 14th July drop, was followed the next day by a massive buy volume. The price didn't move straight away, but that day was clearly the kick-start to price recovery (well certainly a B-C move). Given the events of 15th July, and the 360p support line, I have decided to close my short today for 105p gain. I will be very carefully watching tomorrow's volume, and making a decision based on that. Most of the losses today were in the first few seconds of live trading, but there is a small overnight gap around 420p. 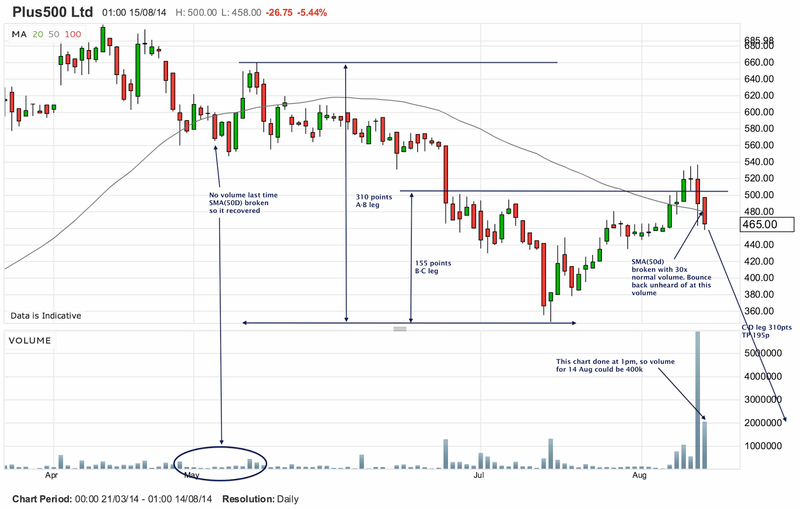 I expect a short-term but very fast retracing rise tomorrow, but I am particularly interested in the volume, to see if the 15th July pattern is repeated. 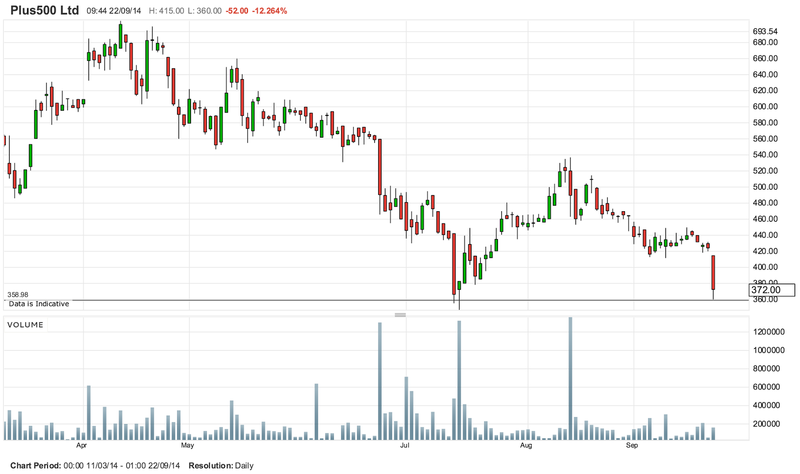 Alternatively, if the share falls below 360p on volume (or for more than a day or two), I will short there. Yesterday saw Quindell hit it's support of 163p, and sure enough, this morning it has bounced up, although nothing like as strongly on previous occasions. 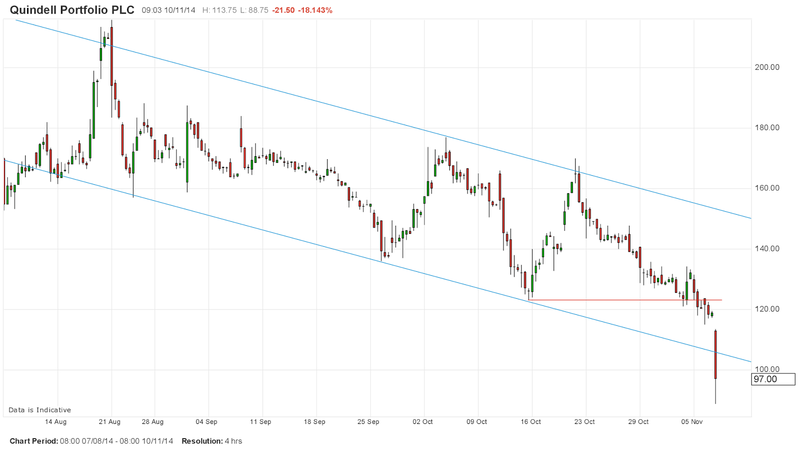 As we hit support yesterday, I closed my latest short (for 10p profit per share) and I am waiting now for it to rise within the channel back to 177-179p, to short the stock again. Readers of my previous posts will know why I am not prepared to ride the stock long up to that new short entry target. A contrarian view would notice that the tops and bottoms seem to be getting narrower, and the price can be viewed as a wedge rather than a flat or symmetrical triangle. As the top line is falling faster than the bottom line is rising, this is (just about) a falling wedge which is a bullish sign. It is so slight, however, that I would not buy on this. but this would not help bulling chartists, because in the shorter timeframe, the bottom line is flat. This is therefore a descending triangle, not a wedge, which is a bearish sign! I have no position at the moment. The Scottish referendum on independence on September 18th has become extremely relevant to financial markets, with the new Sunday Times poll over the weekend suggesting for the first time that the Yes vote will prevail. The damage to the pound has been immense. Already falling, it has fallen off a cliff since Sep 1st, and this weekend gapped a whole cent lower against the US dollar, and is not showing any signs of recovery. Similarly shares in Scottish FTSE companies such as Weir and RBS fell by an even greater percentage. The aggregate site oddschecker.com shows that about two-thirds of the bets are for a Yes vote, yet the prices continue to reflect a No vote as most likely. 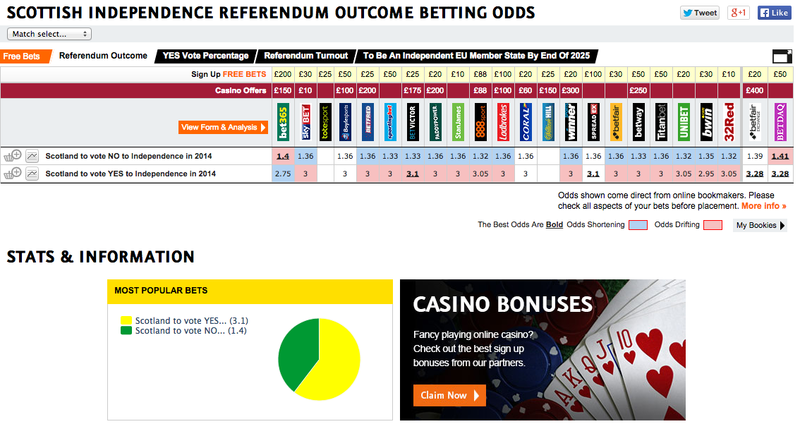 If the Yes votes win, you will get a nice return, and possibly a Yes win is now priced in. If No wins, there will be a surge upward in market prices which will cover your lost stake. I wouldn't normally recommend betting as an investment decision, but the prices are all wrong for the data on this one. You could of course take the alternate view that the bookies alway know best, 'No' will prevail and load up on RBS/Weir shares and GBPUSD contracts. The controversial Quindell (£QPP) has faded below 167p, a level it had held all last week, and stands at 164.5p at the time of writing. There is no support at this level, and given the volatility of the instrument, I would be surprised if it did not fade to at least 161p (well 160.99p actually), the low of August 14th, if not further to 158.81p, the spike-down price on Sep 2nd. I already told you on my last post that I have a large buy order at 160.5p, and the chance of it filling are now improving. I may now split the order, half to buy at 161p and the other half at 159p, as there seem to be two clear support points. 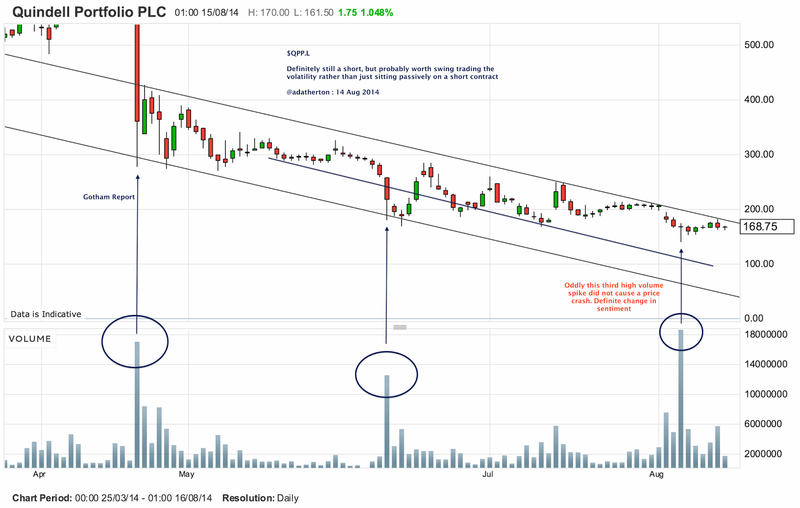 I shall set a stop of 156p, just below the Aug 22 opening spike low, where, by definition, I don't think the price will go. So you see I am bullish for a small gain. Long-term investors probably don't care about a few pence here and there, and are following the line taken by The Motley Fool, that the share has a P/E of 3, which is a tiny fraction of the P/E average for it's sector (be that insurance, electronics, or services), and the right price is considerably north of the ATH of 590p (which would still only be a P/E of 7). However, the market feels there is something not right with the company, and paying attention to the share price movements at this depressed level, particularly whether it closes any lower that 153p (the recent nadir of Aug 2), gives long-term investors a heads-up to bail out, should these strange allegations be proven. By the way, for the first time today, I have started to follow the increasingly common convention of prefixing UK stocks with a £ sign, rather than a $ sign and the letter L at the end, so it's £QPP instead of $QPP.L. I'll still use the $ sign for the $FTSE and $DAX. Not sure about the £AIM100? I have been following the Quindell saga on ShareProphets, where several allegations remain unanswered, and of course I am aware of GCR's success in unmasking Lets Gowex. My overall position is that I do not want to be long if these things are proven to be true. However I am not a long-term investor and price/action in the end is what matters for a trader, and QPP is volatile. I had another look at the short-term (H1) chart and it seems to me that the instrument keeps falling back to around 167p (current price at time of writing), making a quick squeeze to 160p, and then shooting up very quickly to 187p. It has done this twice since Aug 25 and we are back now exactly where we were on Sep 2. Because the dip from 167p to 160p was so quick on both occasions, and I might miss it, I decided to close my short yesterday (for about 8p profit) and sit this out. The risk/reward ratio of, say, setting a limit sell of 162p was not attractive. 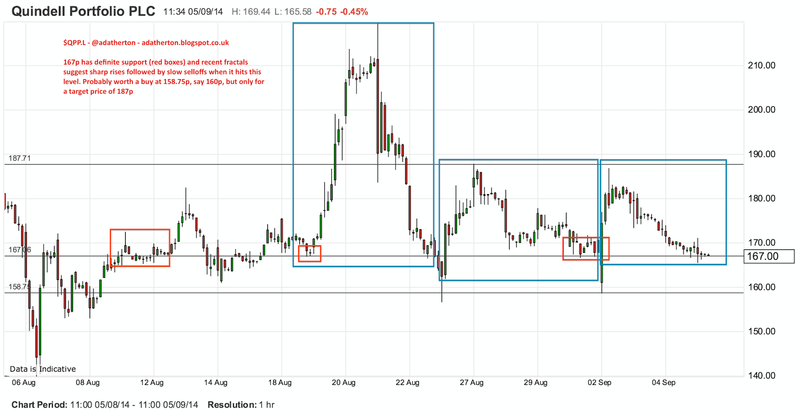 Here is the chart showing the fractals, the support, and the speed the instrument snaps back from 160p to 167p. The snapbacks were at market open, the first took an hour, the second one on Sep 2 took 5 minutes. They were not, however, overnight gaps which meant they were tradable. This however is not the only reason I have closed my short. Looking at the longer view, I discovered something I had not seen before when I checked the RSI(14 days). I found one of the clearest RSI divergences I have seen in a long time. 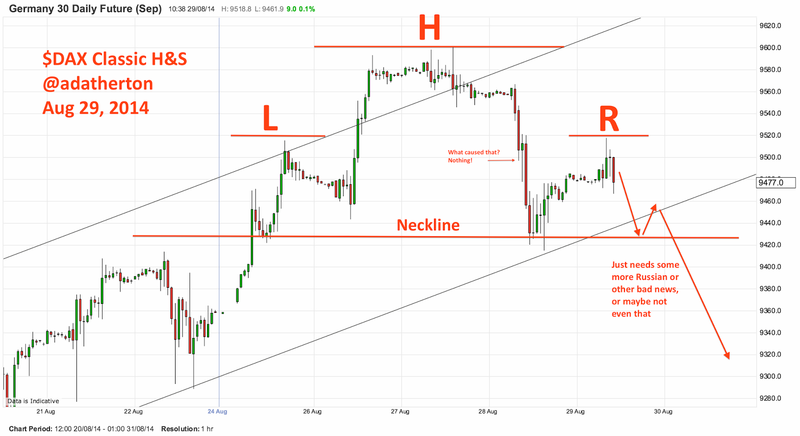 A case where the price has upper and lower parallel trendlines (tramlines) and the RSI also has tramlines. In fact the RSI has four touches on the topside and two on the bottom. This is rare, RSI divergences are normally only a single trendline. And even more significantly, they are of similar and in my view material gradient. When I have had to zoom out to about 18 months to show the gradient properly, but I have seen many tops/bottoms called on divergences shallower than this one. 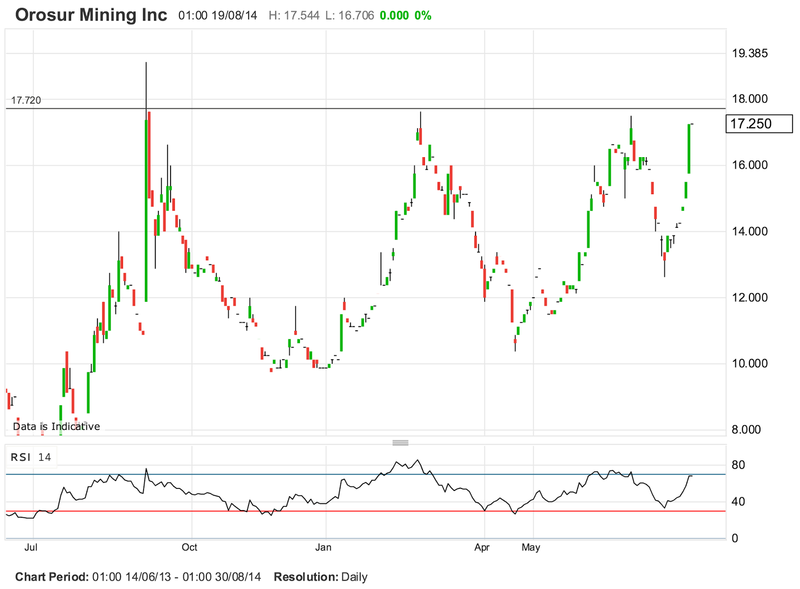 You can see in the RSI that there is a little bit of room to touch the lower tramline again, and obviously plenty of room in the price chart!). I am therefore thinking of putting a long order in today at, say, 160.5p, the idea being to let it rise, and then set a stop of just under 167p. (see above about the drops being tradable). If it doesn't fill, it doesn't fill, and that's that. Note that I am only a technical bull here (and I am still anticipating a 7p drop!) not a fundamental bull. Until all these questions about Quindell inter alia paying capital to buy shells instead of paying fees (a clear breach of Ch.10 CA2006 if true) are answered, I cannot see this share rising above 275p, the blue resistance line on my chart. However, that is 65% ahead of where we are now, which I guess would satisfy most people. One of the easiest ways to make short-term money on shares is to predict gap fills and buy or sell accordingly. A clear gap arose with the sharp drop on opening trade on 28th August. 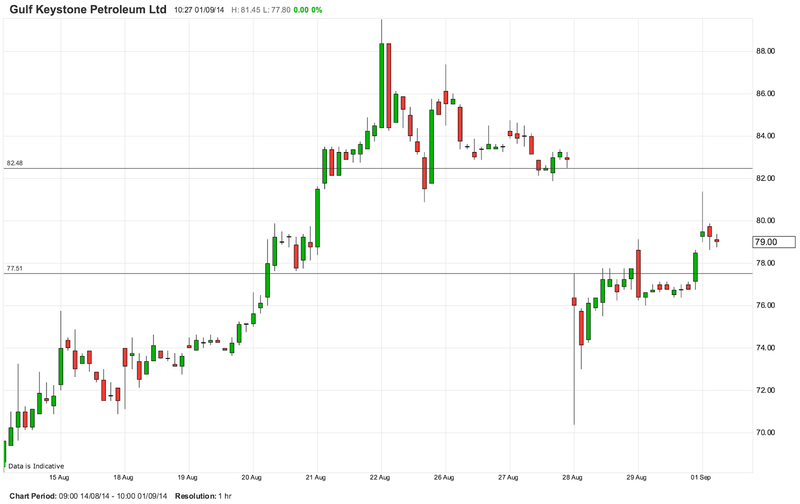 The gap is from 82.48p to 77.51p. We do not need to check whether it is fillable, because the subsequent price action ever since shows that the market is trying to fill the gap, even though that is counter to the prevailing trend. A determined attempt was made this morning with the opening spike, but it fell back. It is therefore highly likely that (a) the price of 82.48 will be reached, and (b) once reached, the share will resume it's downward trend. These are not large price movements, but they are very reliable. Therefore I have taken a larger than usual long position in GKP in the short term, with a target price of 82.48p where I will sell. Of course I could be wrong and you could draw a trendline downwards now, which the last couple of hours price/action would support. Therefore I have a tight stop of yesterday's LOD 76p. The American indices have recovered from the small correction in the first few days of August, whereas the European ones haven't, each reaching recovery to a fib point. The German DAX, the one most strongly affected by Russia/Ukraine issues only made it back to the 61.8% level (9600), and is now falling again. A drop to 9430 seems inevitable, if not 9240. It will however be interesting to see how this compares with the US indices, which are at all time highs. The Quindell controversy probably started with Shareprophets, but everyone seem in on the act now, following the Gotham Research short note. I am short from over 200p, but I keep adding, selling on lows, and then reshorting on highs. For this one I am using spreadex.com who have a much better range of AIM instruments than IG. However, if you look at the chart, the volume spike on 4th August did not produce the same price drop as the previous volume spikes. I am therefore wondering if this has that much further to go. Not to worry, I have a cash-positive stop on at all times. But I can't help thinking Tom Winnifrith's view is not shared by everyone. This is the first post in my stock market blog. I am a day and swing trader, based in Bolton, near Manchester in the UK. I work largely through an IG Markets spreadbetting account, although I also have other accounts with CMC Markets, GFT, Plus 500 (for Bitcoin) and NatWest Stockbrokers, soon to be TD Direct Investing. I will be posting my opinions on the market, mostly short-term and making predictions on market movements, normally backed by charts. I follow RSI(14D), SMA 50/200 for daily planning, and Fibonacci levels and simple previous reversals for daily and intraday. I hope then to follow those predictions up with results as to accuracy.